BERLIN (AP) — Scientists say images of craters taken by European and American space probes show there likely once was a planet-wide system of underground lakes on Mars. 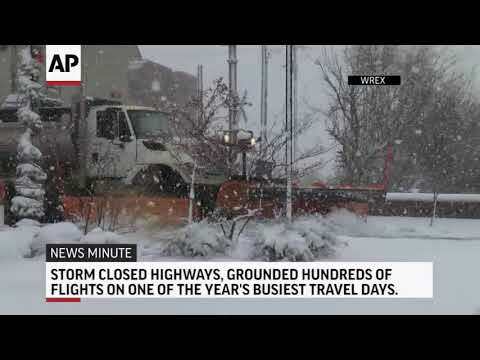 CAPE CANAVERAL, Fla. (AP) — And now for the weather on Mars: NASA's newest lander is offering daily reports on the red planet's frigid winter. CAPE CANAVERAL, Fla. (AP) — NASA is trying one last time to contact its record-setting Mars rover Opportunity, before calling it quits. 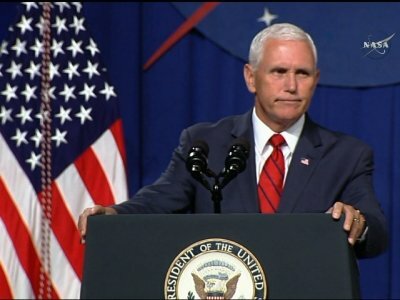 WASHINGTON (AP) — Vice President Mike Pence is honoring the nation's fallen astronauts during a NASA day of remembrance at Arlington National Cemetery. CAPE CANAVERAL, Fla. (AP) — NASA and SpaceX are now aiming for a March debut of the first capsule from a private company designed to fly astronauts to the International Space Station. CAPE CANAVERAL, Fla. (AP) — Two tiny satellites have fallen silent hundreds of millions of miles away, after proving new technology at Mars. The twin CubeSats, nicknamed WALL-E and EVE, shadowed NASA's InSight lander to Mars last year. 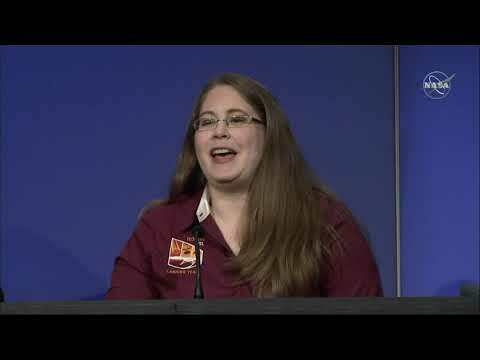 As the lander descended to the Martian surface in November, the briefcase-size satellites flew past the red planet, providing real-time updates to ground controllers in this first-of-its-kind experiment. CAPE CANAVERAL, Fla. (AP) — NASA's Opportunity rover is silently marking the 15th anniversary of its touchdown on Mars. CAPE CANAVERAL, Fla. (AP) — NASA's new Mars lander has placed a quake monitor on the planet's dusty red surface, just a few weeks after its arrival. Mars InSight 's robotic arm removed the seismometer from the spacecraft deck and set it on the ground Wednesday to monitor Mars quakes. Project manager Tom Hoffman called the milestone "an awesome Christmas present." Let's take a moment to marvel at what we can do when we are at our best. 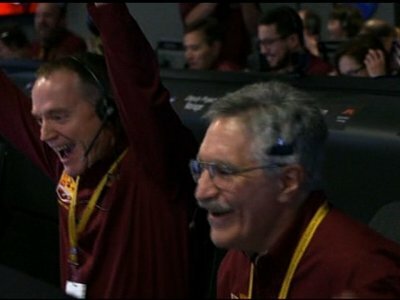 NASA's InSight lander successfully touched down on Mars last week, a few minutes before 3 p.m. Eastern time, ending a journey of more than six months and 300 million miles. CAPE CANAVERAL, Fla. (AP) — NASA's new Mars lander has taken a selfie from above, using a camera on its long robotic arm. The InSight lander snapped a series of pictures that NASA turned into a stunning mosaic, released Tuesday. CAPE CANAVERAL, Fla. (AP) — As Mars' newest resident settles in, Planet Earth is working on three more landers and at least two orbiters to join the scientific Martian brigade. NASA's InSight spacecraft touched down on the sweeping, red equatorial plains Monday, less than 400 miles (640 kilometers) from Curiosity, the only other working robot on Mars. That's about the distance from San Francisco to Pasadena, California, home to Mission Control for Mars. This state is fortunate to have some of its sharpest minds determined to get Connecticut out of its financial pickle. They've given Gov.-elect Ned Lamont a handful of terrific ideas, and the cover, to fix the state's financial problems. CAPE CANAVERAL, Fla. (AP) — America's next moon landing will be made by private companies — not NASA. NASA Administrator Jim Bridenstine announced Thursday that nine U.S. companies will compete to deliver experiments to the lunar surface. The space agency will buy the service and let private industry work out the details on getting there, he said. CAPE CANAVERAL, Fla. (AP) — Minutes after touching down on Mars, NASA's InSight spacecraft sent back a "nice and dirty" snapshot of its new digs. Yet the dust-speckled image looked like a work of art to scientists. A NASA spacecraft has landed on Mars to explore the planet's interior. 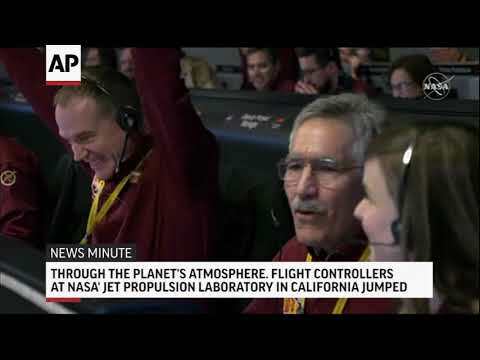 Flight controllers announced that the spacecraft InSight touched down Monday, after a perilous supersonic descent through the red Martian skies. 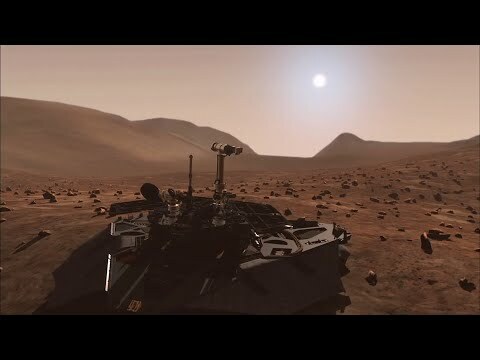 Confirmation came via radio signals that took more than eight minutes to cross the nearly 100 million miles (160 million kilometers) between Mars and Earth. 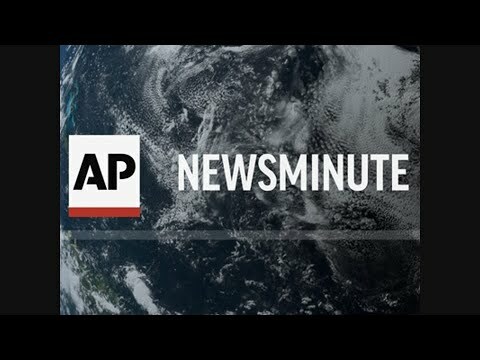 CAPE CANAVERAL, Fla. (AP) — A NASA spacecraft designed to drill down into Mars' interior landed on the planet Monday after a perilous, supersonic plunge through its red skies, setting off jubilation among scientists who had waited in white-knuckle suspense for confirmation to arrive across 100 million miles of space. GREEN BANK, W.Va. (AP) — The National Radio Astronomy Observatory's Green Bank Telescope in West Virginia is holding a public event to track a NASA lander on Mars. CAPE CANAVERAL, Fla. (AP) — With just a day to go, NASA's InSight spacecraft aimed for a bull's-eye touchdown on Mars, zooming in like an arrow with no turning back. InSight's journey of six months and 300 million miles (482 million kilometers) comes to a precarious grand finale Monday afternoon. CAPE CANAVERAL, Fla. (AP) — In our solar system family, Mars is Earth's next-of-kin, the next-door relative that has captivated humans for millennia. The attraction is sure to grow with Monday's arrival of a NASA lander named InSight. InSight should provide our best look yet at Mars' deep interior, using a mechanical mole to tunnel 16 feet (5 meters) deep to measure internal heat, and a seismometer to register quakes, meteorite strikes and anything else that might start the red planet shaking. 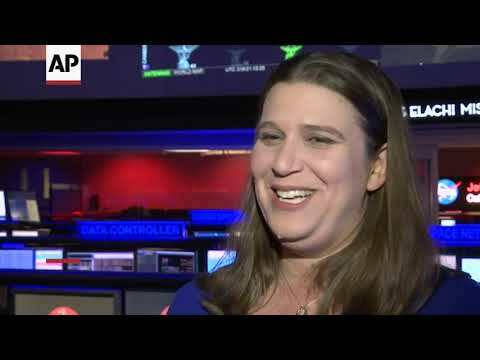 CAPE CANAVERAL, Fla. (AP) — A pair of tiny experimental satellites trailing NASA's InSight spacecraft all the way to Mars face their biggest test yet. Their mission: Broadcast immediate news, good or bad, of InSight's plunge through the Martian atmosphere on Monday. Named WALL-E and EVE after the main characters in the 2008 animated movie, the twin CubeSats will pass within a few thousand miles (kilometers) of Mars as the lander attempts its dicey touchdown. CAPE CANAVERAL, Fla. (AP) — It all comes down to the final six minutes of a six-month journey to Mars. NASA's InSight spacecraft will enter the Martian atmosphere at supersonic speed, then hit the brakes to get to a soft, safe landing on the alien red plains. CAPE CANAVERAL, Fla. (AP) — Mars is about to get its first U.S. visitor in years: a three-legged, one-armed geologist to dig deep and listen for quakes. NASA's InSight makes its grand entrance through the rose-tinted Martian skies on Monday, after a six-month, 300 million-mile (480 million-kilometer) journey. It will be the first American spacecraft to land since the Curiosity rover in 2012 and the first dedicated to exploring underground. TOKYO (AP) — A Japanese rocket on Monday lifted the United Arab Emirates' first locally made satellite into orbit successfully from a space center in southern Japan. CAPE CANAVERAL, Fla. (AP) — NASA's Mars rover, Opportunity, has been seen, but still not heard. Few concepts remain as intriguing and exciting as space exploration. From the Apollo 11 mission to the moon in 1969 to the Curiosity rover reaching Mars in 2012, the United States' achievements when reaching toward the cosmos is a point of national pride. CAPE CANAVERAL, Fla. (AP) — NASA's Mars rover Curiosity has snapped a dusty but cool selfie. NASA released the panorama this week. A thin layer of dust is visible on Curiosity , the result of a storm that enveloped Mars this summer. 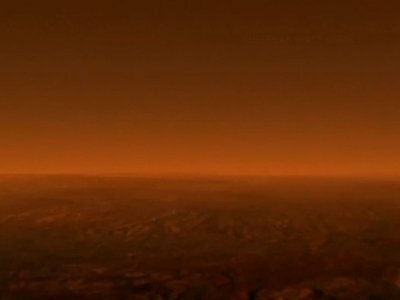 The darkish sky indicates dust still clogging the atmosphere in August, when the panorama was shot by Curiosity's mast camera. The rover had just drilled for a new rock sample. WALLOPS ISLAND, Va. (AP) — A parachute system that's designed to land spacecraft on Mars will be tested this week off Virginia's coast. Friday's scheduled launch from NASA's Wallops Flight Facility on Virginia's Eastern Shore will be the third test of the parachute system. NASA said in a press release that the system is designed for spacecraft descending onto the Red Planet from supersonic speeds. CAPE CANAVERAL, Fla. (AP) — NASA is anxious to hear from its dust-silenced Mars rover, Opportunity, as the planet's red skies clear. Flight controllers have been on the alert for a message from Opportunity ever since a dust storm enveloped Mars in June and contact was lost. The storm has finally diminished. That means the sky is now clear enough for Opportunity's solar panels to receive sunlight and fire back up. LITTLE ROCK, Ark. 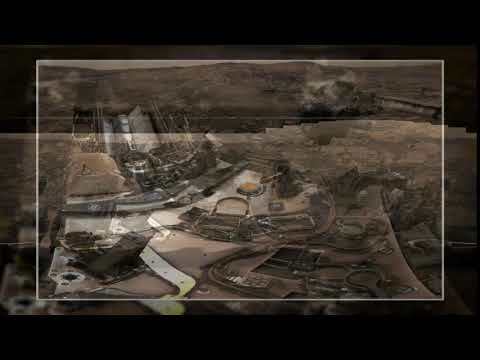 (AP) — A northwest Arkansas architect is part of a team that has won a NASA competition to build homes on Mars. Trey Lane of Rogers and two teammates placed first among 19 teams from around the world and receive $20,957 from the total prize amount of $100,000. HUNTSVILLE, Ala. (AP) — The birthplace of NASA's rockets lies in the land of cotton, hundreds of miles from Cape Canaveral's launch pads. From the first U.S. satellites and astronauts, to the Apollo moon shots, to the space shuttles and now NASA's still-in-development Space Launch System, rocket history inundates Huntsville, Alabama. CAPE CANAVERAL, Fla. (AP) — In a story Aug. 3 about nine astronauts picked for fly on commercial capsules, The Associated Press reported erroneously the first name of one astronaut. His name is Josh Cassada, not John.